When sixteen year-old Jules Verity, who suffers from what her best friend calls “Psychic Tourette’s Syndrome” (spontaneous outbursts of seemingly absurd prophecies that she can’t control) takes a job at a castle turned dinner theater known as Tudor Times, all she wants is the chance to make some money, wear a fancy gown, and ogle gorgeous-but-taken Grayson Chandler from afar. Instead she’s forced to wear the most mortifying costume ever, stumbles over a dead body that promptly disappears, and becomes a suspect in a jewel forgery scam. Determined to prove she’s not a total freak who hallucinated a dead girl, Jules goes looking for answers in the secret passageways of Tudor Times. At first she’s thrilled when Grayson volunteers to help her on her quest to find a dead body, but his sudden interest in spending time with Jules becomes suspicious when she discovers his girlfriend may be guilty of a lot more than perfect hair and fabulous cleavage. And if she can’t unveil the truth in time, wearing an embarrassing costume and her psychic outbursts will be the least of her problems. K.C. HELD was born and raised in California with stopovers in Honduras, Mexico, and France. Married to her high school sweetheart, and mom to two wee bookworms, she holds an MFA in costume design and is an accomplished seamstress with a background in opera, theatre, film, and television. K.C. is represented by Kathleen Rushall at Marsal Lyon Literary Agency. 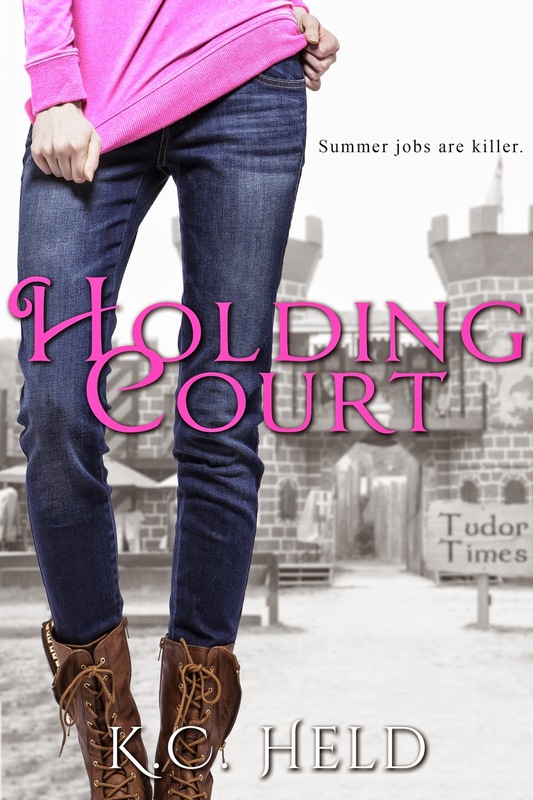 Her debut young adult novel, HOLDING COURT, will be published by Entangled Teen in 2016.